Imagine the small SUV with more than 350 horsepower. Artists at X-Tomi Design have digitally imagined a performance-oriented E-Pace R-S. In the real world (if produced), it would likely wear an SVR badge. Apart from a more aggressive front fascia that includes two sculpted vents at each corner, the E-Pace R-S rendering including new wheels, larger brakes, and a lower center of gravity. The package is finished in Caesium Blue with a carbon fiber roof. 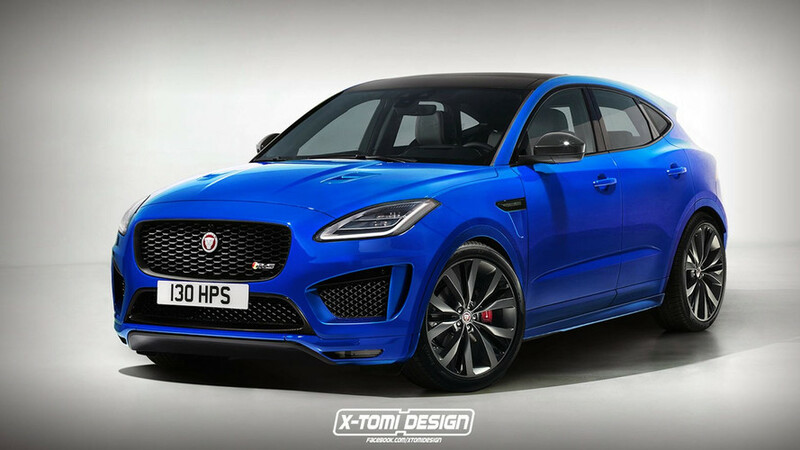 Similar to the Mercedes GLA 45 and Audi RS Q3 before it, the hypothetical high-performance E-Pace would likely come loaded with a more powerful engine capable somewhere in the neighborhood of 350 horsepower. The most likely candidate would be one of JLR’s supercharged 3.0-liter V6 units. That same engine could also carry over to an Evoque SVR if needed. 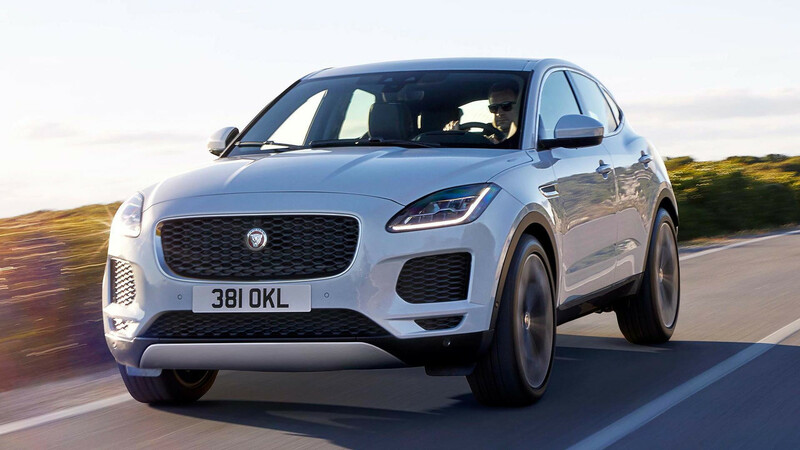 Sadly, Jaguar isn’t planning a hotter version of the E-Pace… as far as we know. For now buyers will have to make do with the standard E-Pace, which comes with a range of four-cylinder engines, capable of producing anywhere from 150 to the aforementioned 296 horsepower at full tilt. The latter version will allow it to sprint to 60 miles per hour (96 kilometers per hour) in just 5.9 seconds. The 2018 E-Pace starts at a meager $38,600, and ordering will open up later in the year.